Since children with autism require plenty of their parents’ time and attention, siblings often feel left out. Siblings can be affected by conflicting emotions—they may feel protective of their brother or sister, but also jealous that the child with autism is getting most of the attention. To build strong relationships, siblings need some one-on-one time with a parent. 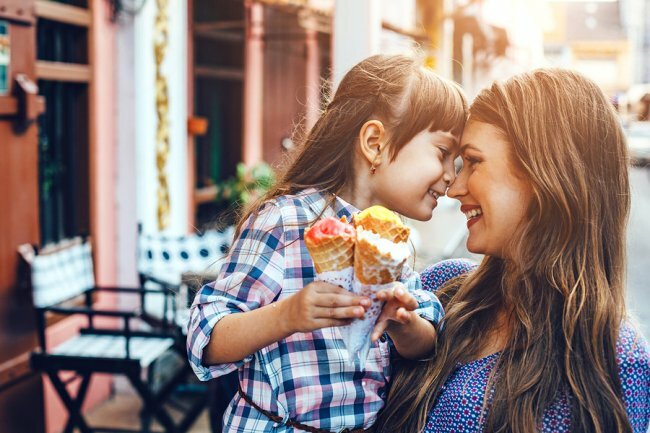 By putting the focus on the sibling, and making him or her feel special, the sibling will be less likely to feel resentful of the child with autism. An ABA therapist can help siblings understand why children with autism act the way they do. Therapists and parents can also help siblings learn how to play and interact with each other, as children with autism often need extra help to acquire play skills. At The Behavior Exchange, we understand that siblings can have trouble coping with the symptoms of autism. Give us a call at (888) 716-8084, and an ABA therapist near Plano will discuss how we can help balance the family dynamic . One of the biggest challenges that parents of children with autism face is the overwhelming number of untested, unproven autism therapies that are promoted on an ongoing basis. Trying these non-science-based therapies aren’t just potentially a waste of time and money for families. They can also put children with autism at risk for dangerous side effects. Many unproven autism therapies involve dietary changes, chemicals, minerals, and vitamins that can cause serious complications when not used appropriately. Some untested treatments can lead to serious health issues like mercury poisoning, intestinal upset, headaches, and vitamin overdose toxicity. For your child, unproven autism therapies will not provide results and could actually exacerbate symptoms in some cases. The Behavior Exchange is committed to providing autism therapy in the DFW area using the most tested treatment method available, applied behavior analysis . We’re always available to answer your questions about ABA and how it could help your child with autism. To learn more, please call us at (888) 716-8084. What Are Some Strategies for Fostering Friendships in Children with Autism? Some children are naturally shy and introverted, and there’s nothing inherently wrong with this. But children with autism face added challenges, such as not knowing how to start or maintain a conversation, or how to play cooperatively with a friend. A child’s socio-emotional development is crucial for his or her well-being. Structured autism therapy in a group setting can help these kids overcome social challenges. There are so many complex nuances that go into a successful social interaction, and most people follow unspoken social rules without giving them a second thought. But children with the symptoms of autism need some extra help to learn and practice these social rules, such as those regarding making eye contact. Kids need to be taught that making eye contact lets the other person know he or she is listening. However, making eye contact for too long without briefly looking away is considered rude. Parents can help their kids practice this skill in one-on-one interactions and conversations that involve multiple people. Children with autism might not realize that entering a private conversation is generally frowned upon. There are social cues that can indicate to a child that he or she is welcome to join in a group conversation. One speaker might smile at the child, call over to him or her, or wave a hand. Kids can also learn socially appropriate ways of capturing the attention of the speakers to see if it’s alright to join in. Facial expressions can be tricky for many kids who are developing atypically. Therapists and parents can help children understand how to interpret different emotions through the use of visual aids. For instance, flashcards with faces with different expressions can help kids differentiate between happy and sad faces. This can lead to practicing appropriate social responses to these emotional indicators. The Behavior Exchange uses evidence-based practices to teach critical social skills to children with autism in the Plano area. 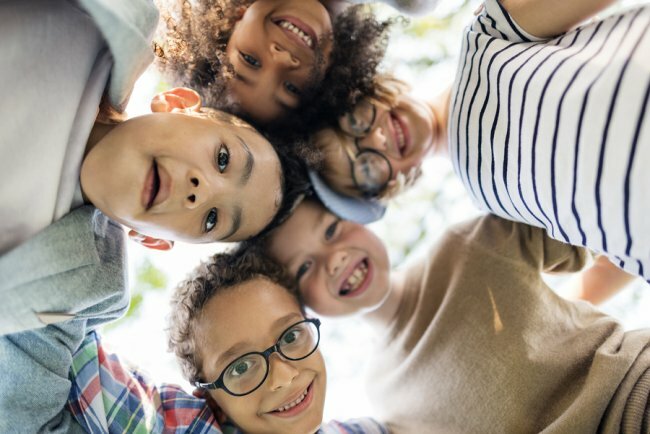 We invite parents to explore the benefits of our social skills groups, which include making friends, playing cooperatively, and engaging in age-appropriate play. You can reach us at (888) 716-8084. 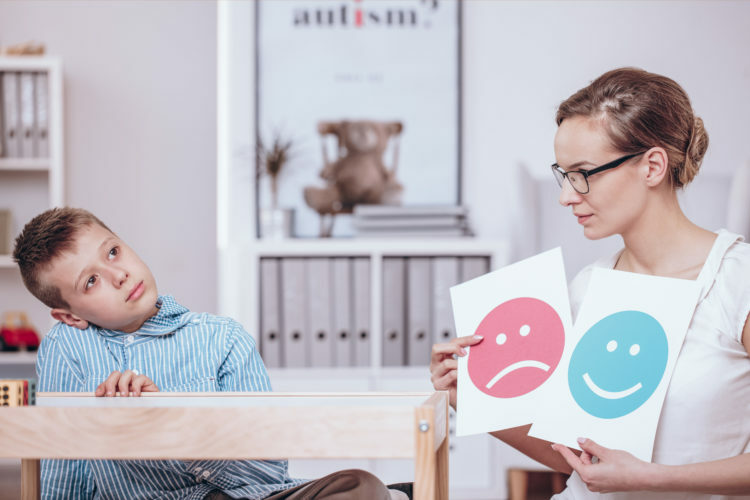 Applied Behavior Analysis (ABA) therapy is unlike other approaches to autism treatment because its effectiveness has been demonstrated with decades of research and implementation. 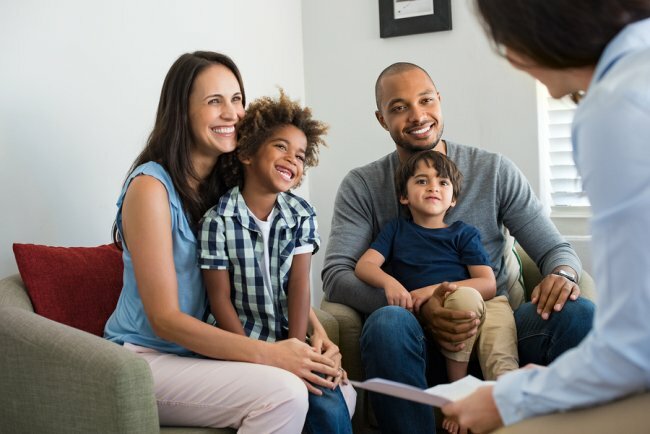 Autism therapy providers trust ABA because it’s evidence-based, it’s stood the test of time, and because it’s infinitely adaptable to meet the unique needs of each child with autism. ABA therapy is versatile. The principles of ABA can be found in various therapy techniques. These principles include the use of positive reinforcement to naturally encourage desired behavioral changes, while reducing unwanted behaviors. The effectiveness of ABA principles continues to be demonstrated with new, peer-reviewed studies. Although there is no cure for autism, since ABA therapy was first developed decades ago, it has proven its value in helping children with autism reach their full potential. The ABA therapists at The Behavior Exchange only use evidence-based methods to encourage positive change in families affected by autism. You can reach our ABA school near Plano at (888) 716-8084 for more information. The first person to ever be officially diagnosed with autism was Donald Triplett, who was diagnosed in 1943. Almost certainly, autism had existed for quite some time before 1943, but no one had a name for it until Mr. Triplett came along. Since that time, there have been many theories about the potential causes of autism , but many of these theories have been debunked over the years. If your child is newly diagnosed, you can get the facts by talking to an autism therapist. 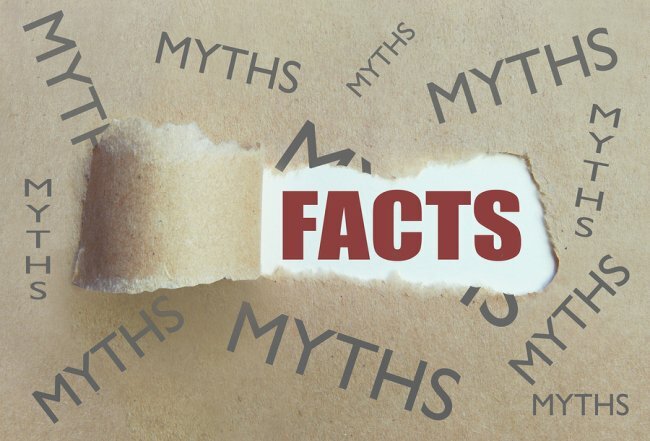 Myth: Autism is caused by childhood vaccinations. Perhaps the most damaging myth about autism is that it can be caused by childhood vaccines. This erroneous belief has led countless parents to withhold life-saving vaccines from their kids out of the fear that they’ll be affected by autism. Even now that any link between vaccines and autism has been thoroughly debunked, some parents still refuse to vaccinate children because of these concerns. This theory arose from a 1997 paper published by a British surgeon, Andrew Wakefield. He blamed the measles, mumps, and rubella (MMR) vaccine on rising rates of autism. In the years since, this paper has been wholly discredited due to Wakefield’s faulty methods and ethical violations. Numerous studies published since then have not found any evidence that vaccines cause autism. The refrigerator mother theory is an old one. It was finally debunked in the 1960s, but not before it had caused severe damage to countless families. This theory proposed that autism was caused by bad parenting. Specifically, it was thought to result from cold, uncaring mothers. Today, scientists know that it’s not possible for a parenting style to cause autism. Myth: Autism is caused by nutritional problems. One persistent myth is that developmental delays are caused by poor nutrition. This is why many parents decide to put their children on a gluten-free, casein-free diet in an effort to manage autism challenges. It’s true that children with autism do often experience gastrointestinal issues, but there’s no evidence that food allergies cause autism. Here at The Behavior Exchange, we wholeheartedly embrace a science-based approach to autism therapy. We use time-tested, clinically proven methods at our ABA school near Plano. Call (888) 716-8084 if you’re concerned about possible symptoms of autism in your child. A solid night’s sleep is essential for good health and quality of life, but many children with autism struggle to sleep soundly through the night. This can create problems for the whole family. If your child has been having problems getting to sleep or staying asleep, talk to an ABA therapist about effective solutions. One of the hallmark symptoms of autism is the compelling need for predictable, consistent routines. When children with autism must deviate from a set routine, they may have significant problems coping with the change. Bedtime is no different. Follow the same bedtime routine with your child every night. It shouldn’t be too long—about 20 minutes is ideal. Avoid overstimulating activities, such as watching TV or playing with electronics. 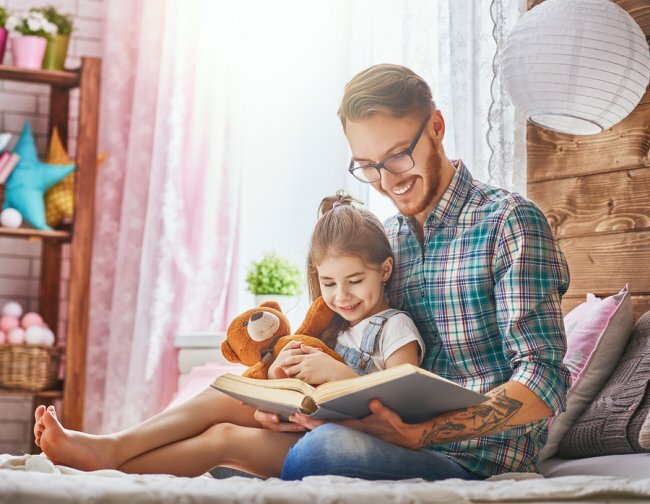 Instead, you can play some soothing classical music at a low volume and read a book together after your child changes into his or her pajamas. Give your child bedtime cues. For some children with autism, a predictable routine might not be enough. If your child gets upset when he or she has to stop an activity to get ready for bed, it can be helpful to remind your child at regular intervals that bedtime is approaching. Maintain a soothing bedroom environment. Adjust the bedroom environment to suit your child’s comfort needs. In general, a good environment for sleeping is one that is dark, cool, and quiet. Require your child to only fall asleep in bed—not on a couch. Teach your child how to fall asleep alone. One of the most common causes of frustration regarding a child’s sleep is when the child requires the presence of a parent in the bedroom to fall asleep. If your child can’t fall asleep alone, then he or she will wake you up periodically throughout the night. You can address this issue by leaving the bedroom immediately after your child’s bedtime routine, but before he or she falls asleep. An ABA therapist can also help your child feel safe and secure when he or she is alone in the bedroom. At The Behavior Exchange, it’s our mission to help families affected by autism overcome challenges and enjoy a harmonious home environment. Our ABA therapists in Plano only use evidence-based autism therapy practices. Call us today at (888) 716-8084 with any questions you might have.